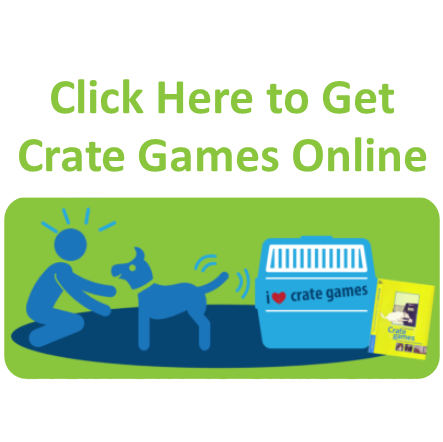 →Crate Games, it is not just for breakfast any more. Crate Games, it is not just for breakfast any more. Group shot of Crate Games graduates. I had small workshop here yesterday with 9, mostly adolescent dogs, and their handlers. It went quite well with a few “aah ha” moments and the odd “oh my” thrown in to balance things out. We started the day with some grids and body awareness exercises and then finished up the afternoon with some handling drills. Working with dogs that have a solid foundation of Crate Games makes handling drills so much easier. Not only do the dogs have the understanding of control behaviours (necessary for a great start line) but the understand is also there to ‘explode’ off the start line once the dog gets his release cue. In my 15+ years competing in agility I have only ever had one dog break a start line (and she only did it two or three times). 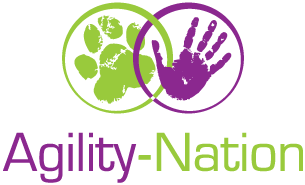 That is seven dogs, with a combined experience of 43 years trialing in agility with less than 4 broken start lines in total and none since 1998. Crate Games is a big reason for this understanding. I don’t want this blog to sound like an informercial for my stuff, but quite honestly everything in my program comes back to Crate Games so it is worth the extra time. I was forwarded an email last week that was sent to [email protected] from someone asking if I thought there was anything in the DVD that would help with obedience “stays.” Aaaah yeah, of course there is. But it will help ANY dog sport in so many ways, as it is the ultimate activity to introduce the concept of the transfer of value. Sure you have a model to work distractions so that all of the toy-throwing and run bys on the contacts or weave poles training will seem like a walk in the park to your dog, but you will have so much more. More distraction work, holding his sit in position with food distractions on the floor in front of him. In addition to the control you gain, you will also be teaching drive! Both the drive to move one ahead of you in agility and drive as in motivation. So if you are working on increasing speed or building more intensity, refer back to you DVD before you do anything else. It will make a difference if you apply the program as it is outlined on the DVD. I could go on but really, dust of your disc and watch it again please, this time with intent! Okay take a look at these pictures of Tracy Sklenar’s (one of our instructors) cute little Export as a 7 week old puppy (a few years ago). I mean really, how else do you get a 7 week old puppy working through distractions like this! Check him out learning to drive ahead . . . his first gamble at 7 weeks old, how cute is that?? Did I mention he is only 7 weeks (you should see him now, fast and yet with lots of self control). One KEY thing I would change if I was doing the DVD again is the use of the wire crate. I had to use the wire crates to make the DVD so you (the viewer) could see what the dog was doing. However, when I teach this to my own dogs I use a hard shell crate. That way I can be more enthusiastic and throw the cookies into the crate during the “You’re Out-You’re In” stage. Wire is not a problem, I know lots of people that use them with great success but I myself don’t use them much. In the DVD I ‘hand’ the cookies to the dog (to prevent them flying out the back through the wires) but in reality I throw ’em. The start of distance work! Puppy Exie driving away from Tracy into his crate. Here is a picture I almost hate to put in because of the stereotypical pigeon-hole Crate Games is already put in. . . working stays. But I will do it anyway, this is our instructors dogs chilling in their crates during a puppy camp. Yes puppies are running all over the place having fun and clearly it is not concerning these dogs. In case you haven’t seen this before, here is a short clip highlighting some of the CG benefits. Export is the ripe old age of 9 weeks when we shot this video. Too funny. It was also nice to see the short little clip of my girlie Twister who appeared briefly with the other three dogs I owned at the time (before Feature’s day) during the opening. Today I am grateful that John is such a sound sleeper as it is 11:00 PM (way past my bedtime) and I am jammin’ to this old Grand Funk song as he is sawing logs. This song (FootStoompin’ Music) reminds me of my brother Steve. I don’t know how he is able to hear today. When we were kids he would take the two stereo speakers off the stands and place them on the floor facing each other about 2′ apart. Then he would turn up the tunes full blast and lay his head on the floor between the two speakers! Oh my! I guess it is not so different to what some kids do with their ipod today eh?